The first-ever photo book of the Indian Peaks Wilderness and nearby area launched on Kickstarter September 1. 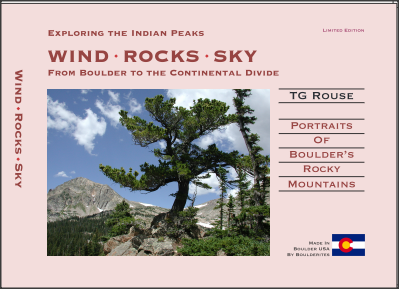 Fourteen years in the making, the Indian Peaks Photo Book: Wind Rocks Sky is an exploration of the mountain area between Boulder and the Continental Divide by photographer TG Rouse. Limited Edition hard cover, individually numbered as one of the First 1,000 printing. The Kickstarter campaign period will run until October 1 during which time copies of the book are available as “rewards” to “backers.” The book will not be sold in book stores. 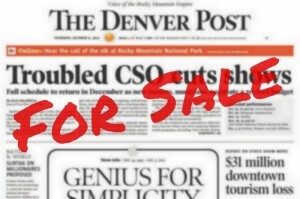 The book is an example of micropublishing: titles in small runs for specialty markets. Made in Boulder by Boulderites with hard-covers bound by Denverites, this book is 100% made in Colorado.